Learn how to install OpenCV 3 on your Raspberry Pi 3 running Raspbian Jessie. This project provides additional information on how Basler dart BCON cameras can be connected to Texas Instruments Channel Link Deserializers. This guide will get you all set up for Python-based image processing on any x64 mashine! This optical Sensor was designed to capture anonymous data on age, gender, ad-interactions and emotions of customers and advertising audience. Here are the mounting plates of a Basler dart camera. 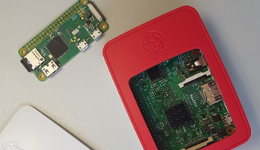 Learn how to get started with image processing on your Raspberry Pi 3!